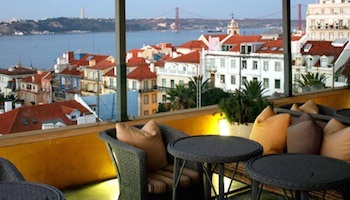 Portugal is a country with exceptional scenery, gorgeous beaches and a rich heritage. 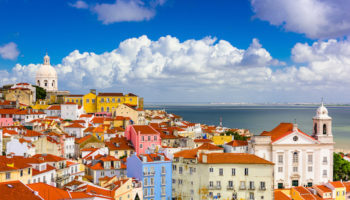 Visiting Portugal can be a chance to enjoy some of the best surfing in the world, a growing wine industry and exciting cities like Lisbon and Aveiro. 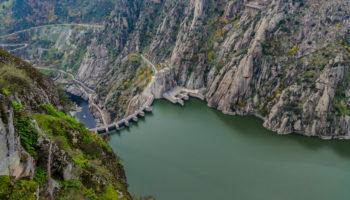 Although spending time in Portugal is a fantastic idea, you might also want to explore beyond the mainland. 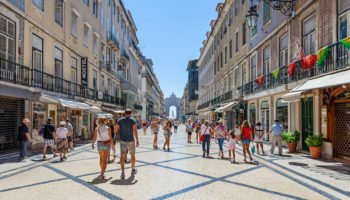 The best islands in Portugal can be found off the coast of the Algarve, and the archipelagos of the Azores and Madeira in the Atlantic Ocean. 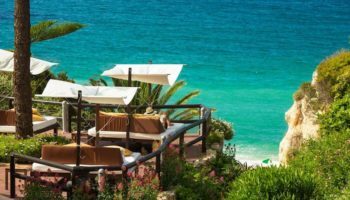 Take a closer look at some of these Portuguese islands, many of which boast breathtaking scenery and world-class beaches. Portugal’s Algarve region is wildly popular with tourists, but those in the know head just a little further south to the island of Armona. Located just off the coast, Armona is easily accessible by ferry, but it is completely car-free and feels a world away from the mainland of Portugal. With four miles of sandy, pristine beaches, Armona is a dream destination for those who want sun, sand, sea and warmth. Armona still retains an authentic atmosphere, with cobblestone streets and Moorish architecture, and little in the way of traditional tourist infrastructure. This means Armona is off the beaten track and ideal for relaxation. In the middle of the North Atlantic Ocean are the Azores, a collection of autonomous islands belonging to Portugal. Faial is one of the Azores, and it is known as the Blue Island. There are three main attractions in Faial: The volcanic craters, the town of Horta and the beaches. The best way to experience the volcanic origins of Faial is by visiting the Caldeira do Faial, which is nearly one mile across. 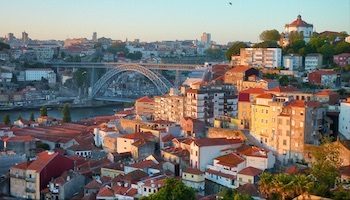 In Horta, you can dig into fabulous, authentic Portuguese cuisine, and you can admire the ships in the marina. The Marina of Horta is steeped in legend, and all sailors passing through contribute to the murals on its walls. Another of the Azores Islands in the Atlantic is Sao Jorge. The island is long and thin, and it boasts tall cliffs that contribute to its dramatic landscape. Traditionally, the mountains, ravines and cliffs made all but the coasts uninhabitable, but today the interior of the island is ideal for hiking. Those in search of an extra adventure can explore the Montoso and Bocas do Fogo caves. Sao Jorge is a foodie’s dream, offering local cuisine like clam dishes unique to the island as well as a tangy, unpasteurized cheese produced with milk from the island’s grass-fed cows. North of Madeira in the North Atlantic Ocean is the island of Porto Santo. The island’s main attractions are its beaches, and it boasts more than four miles of pristine, sandy shoreline. Porto Santo also offers a number of historic landmarks, including the former house of Christopher Columbus. 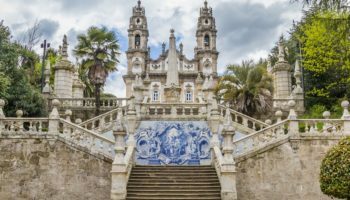 You can also tour the 16th century Paços do Concelho, a town hall and palace, as well as the 15th century Matriz Church. Other popular pastimes to enjoy on the island of Porto Santo include golfing and hiking to the highest spot on Porto Santo, a peak known as Pico da Facho. Another of the remarkable Azores Islands is Sao Miguel, the largest in the island chain. If you’re flying to the Azores, you’ll likely land in the major airport located in the city of Ponta Delgada. Scattered throughout the island are volcanic calderas and hot mineral springs, and the hiking trails surrounding the Sete Cidades Caldera are among the best in the Azores. After a day of action, relax in the famed hot springs of Ponta da Ferraria. Sao Miguel is also well known for its dolphin and whale watching opportunities, and there is no shortage of guided boat tours to let you spot them in the wild. Just a few hundred meters off the southern coast of Portugal, and the town of Tavira, is the similarly named Ilha da Tavira. Only accessible by boat, the island is often busy on sunny, warm days when travelers come for a day of sunbathing and swimming. The further along the beach you walk, the more secluded it will become. Tufted dunes create visual appeal, and bars and restaurants can be found right on the beach. This is the place to go if you’re searching for that perfect, sandy beach without big crowds. Head back across the North Atlantic to Pico, home to the enormous Pico Mountain. This mountain is more than just the tallest in the Azores: It is also the tallest in all of Portugal. It takes about two hours to climb to the summit of Pico, if you’re up for some hiking, and it is the ultimate spot to view the sunset. From the top of Pico Mountain, you can actually see some of the other islands, such as Sao Jorge and Faial. The island is also home to the largest outdoor, manmade salt-water swimming pool, which is surprising deep and perfect for swimming laps. The third largest of the Azores in the North Atlantic is Terceira. This island is less developed, and agriculture is still a major part of the local economy. The city of Angra do Heroismo is home to some colonial architecture, but the real appeal of Terceira is the outdoor activity and landscape. You can relax on the sands of the Praia de Vitoria beaches, or you could set off on a tour of the incredible Algar do Carvão and Gruta do Natal. 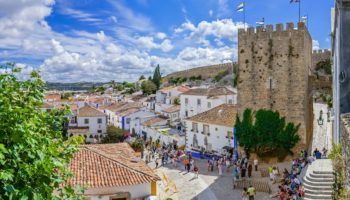 The island is even home to a stunning castle called Castelo de São João Batista, where the Spanish and the Portuguese once held an epic battle against one another. 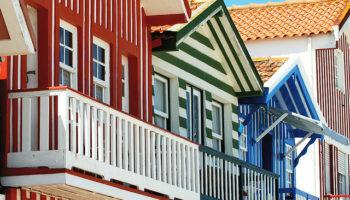 In the island’s fishing village of São Mateus, dig into the local cuisine and wash it down with a bottle of the local green wine, a Portuguese specialty known as Vinho Verde. In the Western Azores is the island of Flores, sometimes known as the Ilha Amarelo Torrado, or the Yellow Island. The name Flores is derived from the abundance of colorful flowers on the island. The landscape of Flores is impressive, with high peaks and deep valleys. An enormous column basalt formation called the Rocha dos Bordões is a major landmark on the island, but just as scenic are the mirrored surfaces of its peaceful volcanic lakes. Flores also boasts an abundance of waterfalls, including the Poco do Bacalhao Falls close to Faja Grande. Nicknamed the Garden Island and the Pearl of the Atlantic, Madeira is clearly an island with a lot of appeal. Located in the Atlantic, Madeira become a Portuguese colony in the 15th century, and it quickly became known for its local Madeira wine. Today, Madeira is a destination that combines history with recreation. If you visit, you can see the Levadas aqueducts that date back to the 15th century or admire the incredible 15th century wooden church called Sé Cathedral in the city of Funchal. 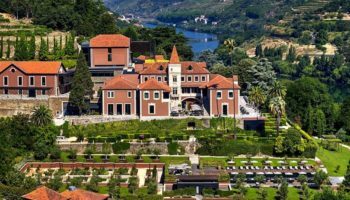 Madeira’s main attraction is its wealth of verdant landscapes that range from lush parks, colorful gardens, enchanting forests and nature reserves to lofty mountains and pebbled beaches lapped by blue ocean waves. 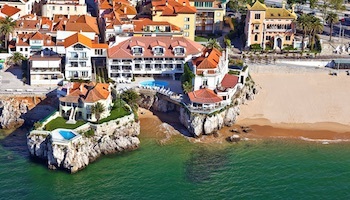 Which islands in Portugal do you consider to be the most beautiful?